Weld purging stainless steel and metal pipes before, during and after welding is key. Moreover, welders often construct their own purging device using wood, foam or paper. These unsuitable dams may leak or slip from position, thus, flooding the welding zone with oxygen and, in turn, resulting in an unsuccessful weld. An alternative to the homemade devices is filling entire pipes with expensive argon gas for the duration of the weld. 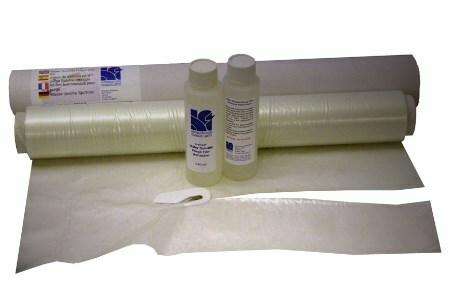 Huntingdon Fusion Techniques (HFT®) have designed and developed Argweld® Weld Purge Film® kits to address these issues and ensure that weld purging is both affordable and successful. The water-soluble Weld Purge Film can also be used for open assemblies and closing welds, producing an impenetrable purge barrier. Weld Purge Film will help to save operators’ high costs by minimising gas usage and reducing the time taken to make a purge. Weld Purge Film kits have been designed and developed by HFT, containing product accessories needed to manufacture dams that will not come loose during welding. After welding, the water soluble film is washed away during the standard hydrotest cycle or by flushing of the pipe interior and dissolved down to molecular level, leaving no trace.